Here is a collectable animal figure from the North Light @ Wade factory. 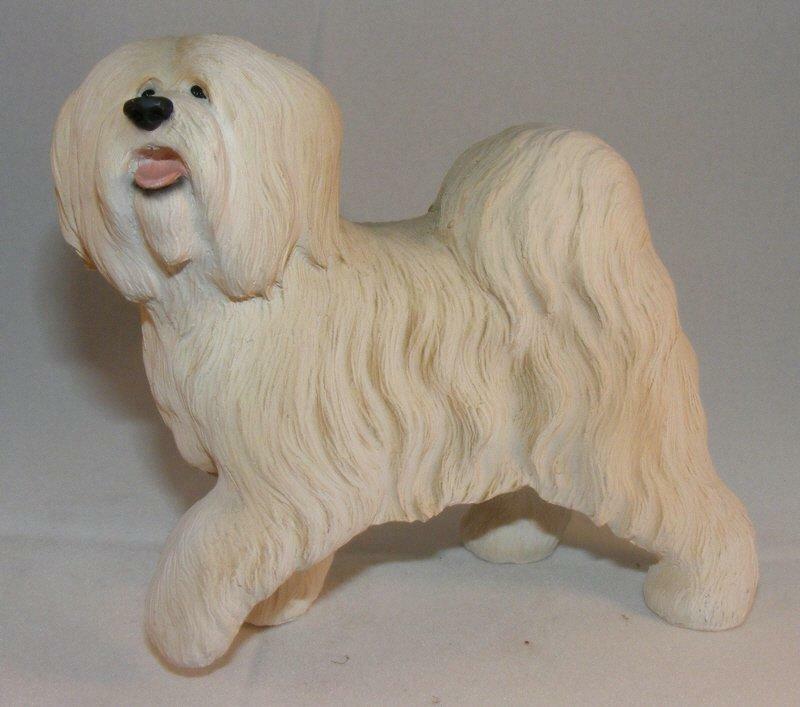 This Tibetan terrier dog measures approximately 11.5 x 13 cm (about 4.5 x 5 inches) and will appeal to collectors of animal figures everywhere. North Light sculptures have been in production since 1978 and are renowned worldwide for their high quality and true-to-life detail. They are beautifully crafted in a mixture of ceramic and resin, then hand painted and finished in a matt glaze.